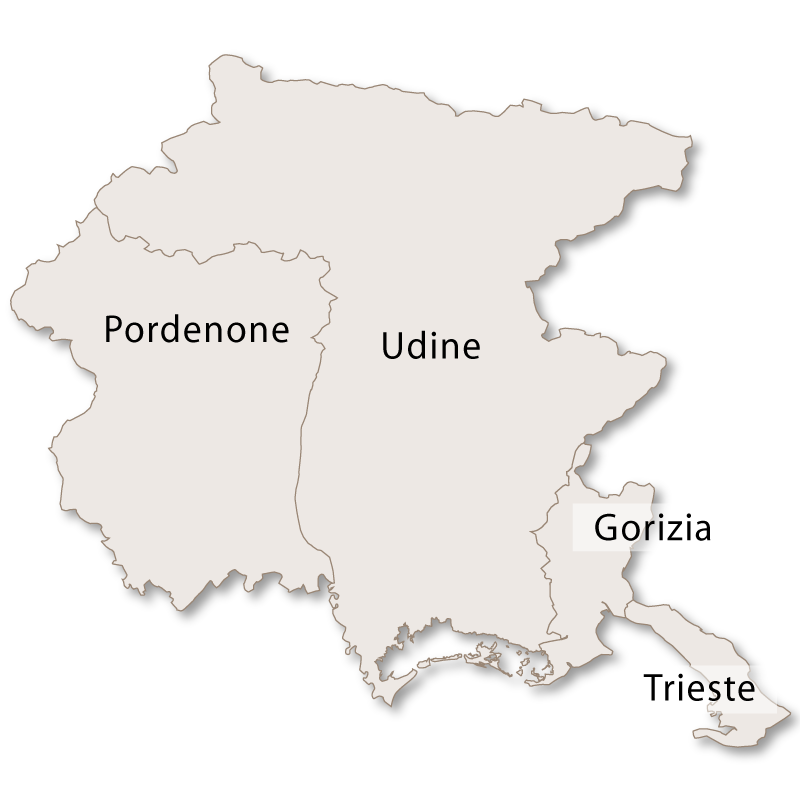 The province of Udine covers an area of 4,905 sq.km and borders Austria to the north, Slovenia to the east and the Adriatic sea to the south. As is common with the rest of Friuli-Venezia Giulia, the province of Udine has a wide and varied landscape, most of which is unspoiled and a haven for nature lovers. The mountains are a popular destination for skiers with many well populated ski slopes such as Forni di Sopra, Ravascletto and Sella Nevea. The coastal area is a popular holiday destination in the summer months and there is abundant wildlife, including a bird oasis in the beautiful lagoon area. The clear, calm sea and long golden beaches make it a perfect destination for family summer holidays. Sloping from the mountains down to the coast there is an area of intense natural beauty which contains the Tarvisio Forest which is one of the largest areas of trees in Europe. 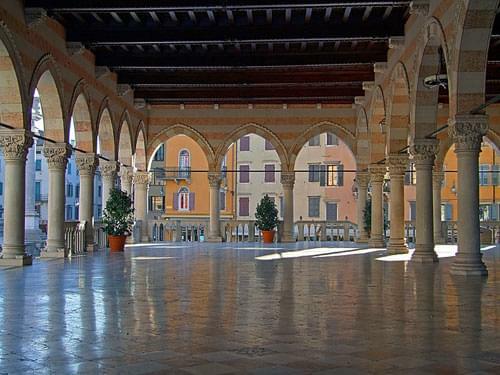 Udine, the capital city of the province of Udine, is an elegant and open city with many beautiful Gothic-Venetian style buildings, piazzas and loggias including the famous Loggia del Lionello. 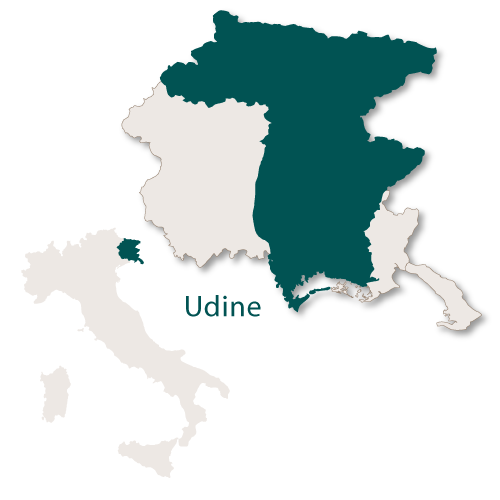 It is a university town with the University of Udine which is well respected for its cultural and scientific studies. The Castle - this imposing building was built in the early 16th century by the Venetians and it dominates the city centre. The Cathedral of Udine - built in 1236 around the shape of a Latin cross. It has three naves and three chapels, a Baroque interior and a bell tower which has it's own chapel on the ground floor. Within the castle are several musuems including the Archaeological Musuem, Ancient Art Gallery, Museum of Photography and a Drawings and Print Gallery. Piazza della Libertà - the main piazza in Udine and this is where most of the important historical buildings are situated. Here you will find the stunning Loggia del Lionello which was contructed during the mid 15th century and is now the town hall. Opposite the Loggia del Lionello is the Torre dell'Orologio (Clock Tower) which is similar in appearance to the one in Piazza San Marco in Venice. Also around the edges of this square is a fountain designed by Giovanni Carrara, the Loggia di San Giovanni and several columns bearing statues of the Venetian Lion, the Statue of Justice, the Statue of Peace and Hearcules and Cacus. St. Mary of the Castle - this church is one of the oldest in Udine. It has been renovated many times over the years and the façade was entirely rebuilt after it was destroyed in an earthquake in 1511. Teatro Giovanni da Udine - hosts the largest European festival of East Asian Cinema and the Far East Film Festival. 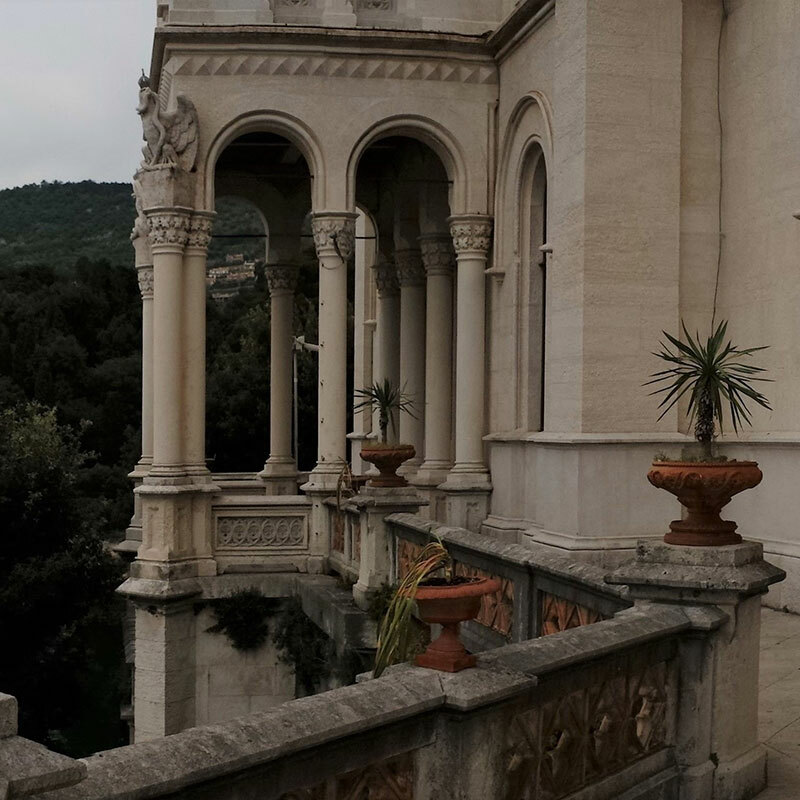 There are several other noteworthy churches and palaces and two interesting botanical gardens, Orto Botanico Friulano and Parco Botanico Friulano Cormor. 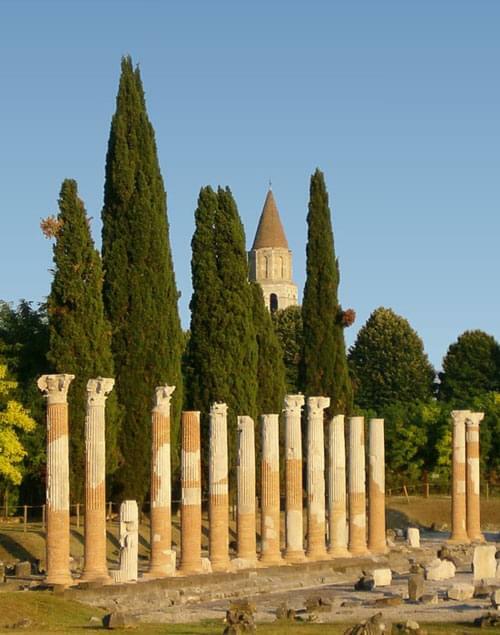 The small town of Aquileia is an ancient Roman city and one of the most important archaelogical sites in Northern Italy. None of the Roman ruins remain above ground but excavations have uncovered a street and city walls as well as statues, ornaments and glasses. This site in Aquileia is believed to be the largest Roman city to be excavated and it is on the UNESCO World Heritage List. There is also an interesting cathedral constructed in 1031. About 14 kilometres northeast of Udine this small town has a medieval archaelogical musuem which is of particular interest to children. 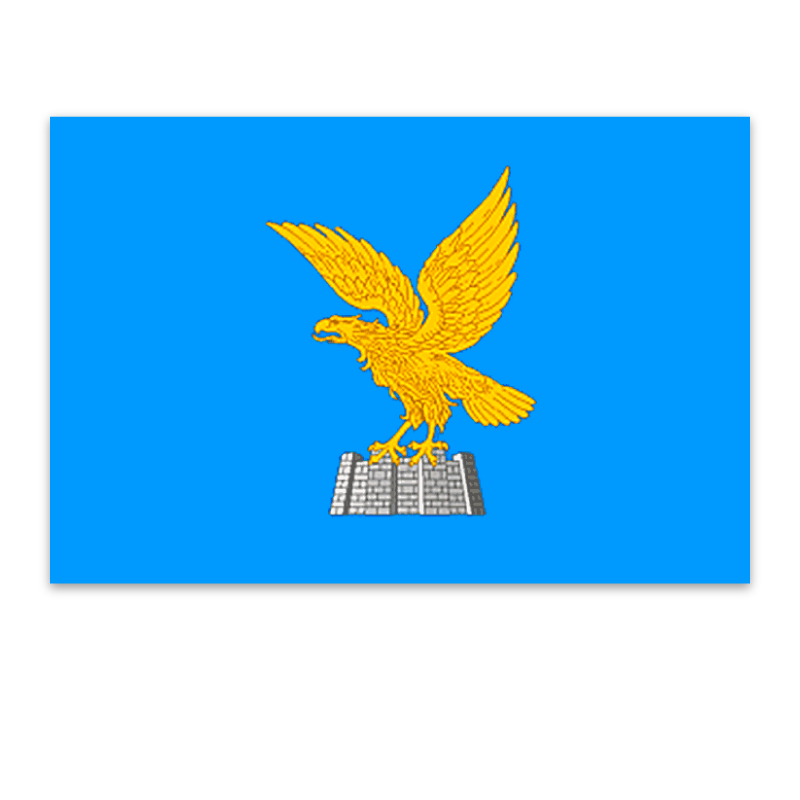 Home to the Italian Air Force acrobatic flight squadron, the 'Frecce Tricolori'. This quaint town is split into two halves by the River Natisone which is crossed by the 15th century Ponte del Diavolo (Devil's Bridge). From the bridge you can see a wonderful view of the town with the river flowing through it. The main area of the old historical centre is the Piazza del Duomo which is where the 15th century cathedral is located as well as the National Archaeological Museum of Cividale del Friuli. 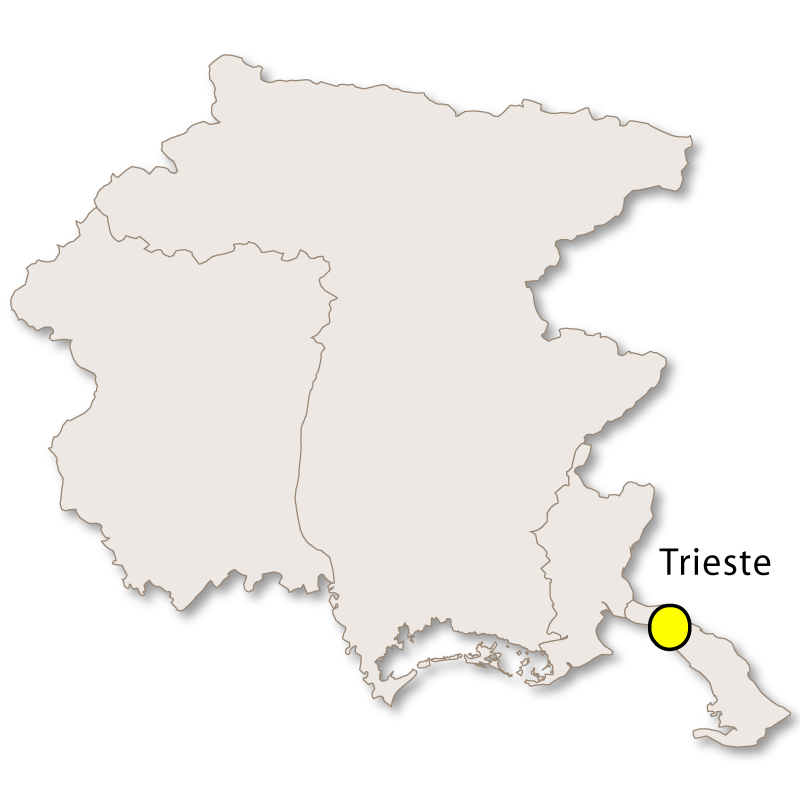 A coastal town which is one of the main summer holiday resorts on the Adriatic coast in Northern Italy. Lignano Sabbiadoro has the largest marina in Italy with over 5,000 berths. It also boasts a spectacular piece of architecture 'Terrazza a Mare' which was designed by Aldo Bernardis in 1969. This structure stretches right out into the sea and contains many bars, restaurants, shops and a solarium. La Fortezza o Rocca di Osoppo, a large fortress of historical interest can be found here. The historic town of Venzone was almost completely destroyed by an earthquake in May 1976 which also killed 47 of the inhabitants. With great determination the residents began the clearing up operations almost immediately and managed to restore all the buildings by using the rubble from the earthquake. It was finally finished in 1990. 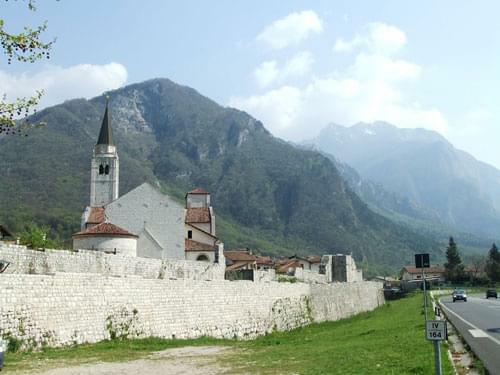 An unusual town which is a perfect example of a late Renaissance 'Star Fort'. It was constructed by the Venetians in 1593 in order to protect their valuable possessions. The main historical centre is clustered around Piazza Grande with cathedral being in the main building of interest. 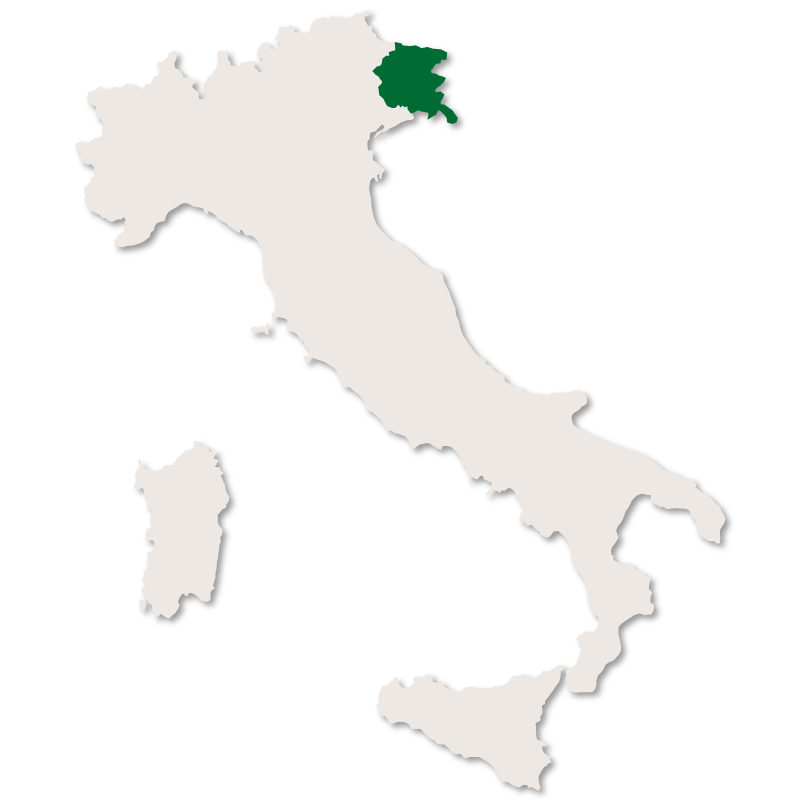 Well known for its production of San Daniele prosciutto, for which a festival is held at the end of June every year. The old public library, the Cathedral and the Porta Gemon tower are interesting pieces of architecture within the town.